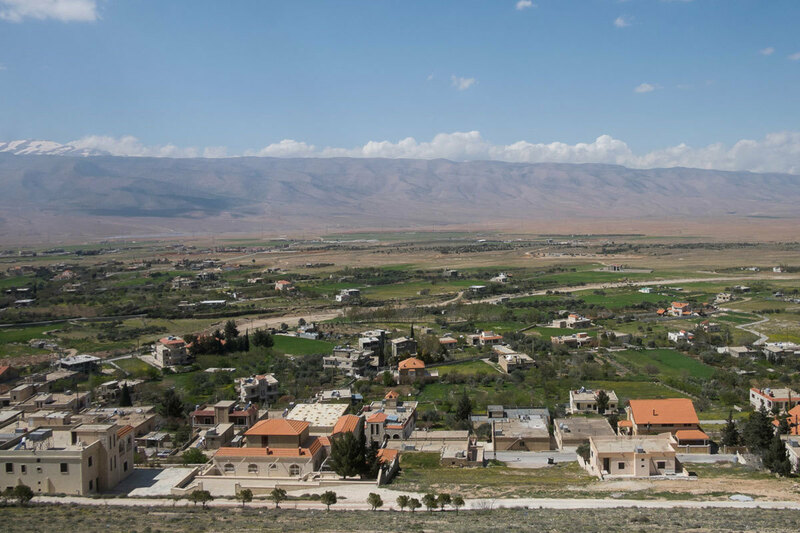 Far up in the north eastern corner of Lebanon’s Bekaa Valley lies a small village, resting quietly on the slopes of a mountain. Vast fields surround it, stretching far into the distance. It is here, not far from the border where Lebanon meets Syria, that some of the Middle East’s most highly regarded instruments are being made. 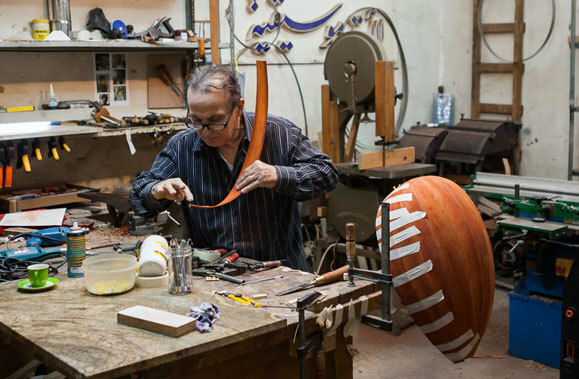 ‘Ras Baalbek is the best imaginable place for making ouds,’ says Nazih Ghadban, a man in his early sixties who has made the classical Arabic string instrument since 1976. ‘The climate is very dry here, and that protects the instrument from cracking and losing its sound,’ he says. Ghadban’s workshop is spacious and attached to his house, in the middle of the village. 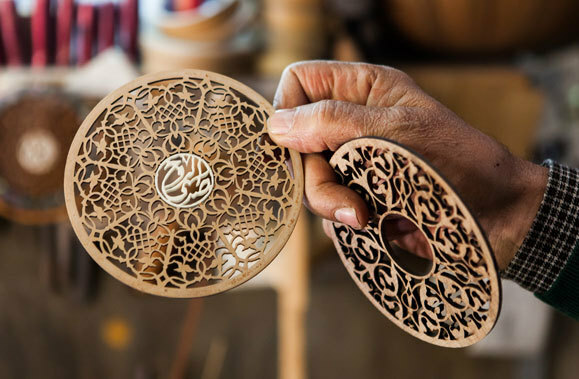 On the walls inside hang numerous ouds in the making, all with the characteristic rounded back made from carefully bended and assembled wood. Several varieties of wood fill his storage, kept for several months to stay as dry as possible. 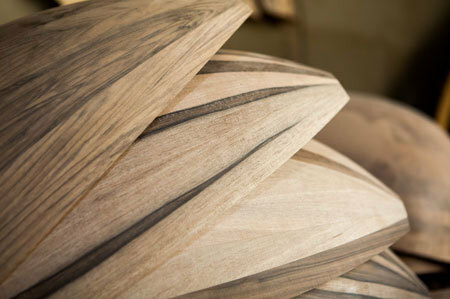 ‘I use oak, mahogany or walnut – that’s the most common kind – or lemon wood, Indian rosewood, teak from Burma. And I use cedar wood, but only imported. The Lebanese cedar today has too much resin and can’t be used,’ he says. 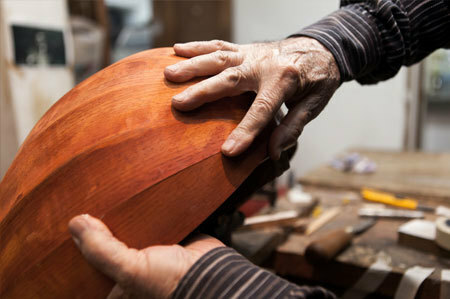 Wood is central to the process of oud making. In Arabic, the word ‘oud’ literally means a branch of wood, and refers to the strips that are put together to make the instrument’s body. ‘The first step is softening the wood strips using water and fire, and then mounting them on a wooden mould. I have over 40 different moulds, all in different shapes and sizes. You start with the middle strip, then continue to add the others one by one on each side,’ says Ghadban. 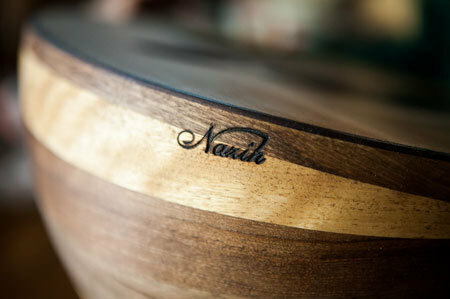 The use of different woods is not only an aesthetic choice, but also a way to make the oud sound deeper. The famous lute maker Hanna Hajji Al-Awwad from 19th century Baghdad is said to have used 18,325 pieces of wood to make one single oud. ‘You can’t make a good instrument from bad wood. 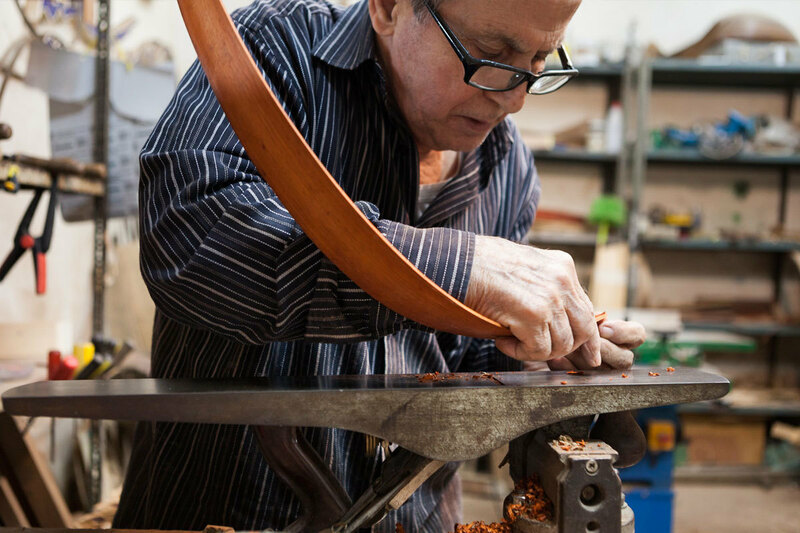 But you can still make a bad instrument from good wood,’ says Ghadban. 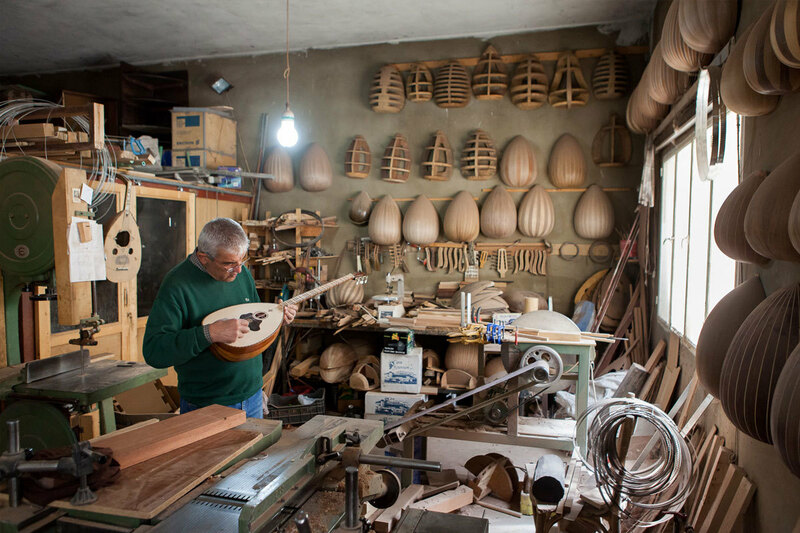 In the bottom floor of a residential building in Beirut, far from the fields and mountains of the Bekaa, is the workshop of Albert Mansour, another Lebanese luthier. He came into the craft as a young oud player, after being dissatisfied with how one of his instruments was repaired. ‘It was my first oud and it was not done well. I told the man repairing it that one day I will make an oud and show you how it’s done. That’s how it started,’ says Mansour. He sits with an almost finished oud in his arms, to be sent to a buyer in Europe. Many of Lebanon’s carefully crafted ouds are sold to musicians abroad, including in North Africa, Asia or Europe. The famous Lebanese oud player Marcel Khalife is also among Mansour’s customers. The price for each oud depends on the details and material used, but starts at several thousands of dollars. ‘It is expensive for most Lebanese buyers, so I sell fewer ouds here than abroad,’ says Mansour. 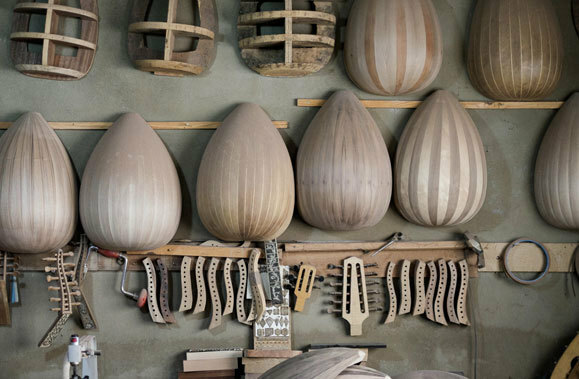 The next step after making the pear-shaped body is attaching a short wooden neck and head to the oud, and decorating the instrument with motifs and patterns. 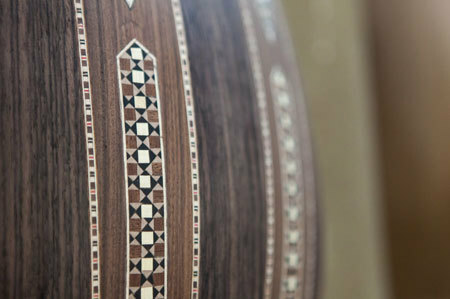 Ghadban adds tiny geometrical details to many of his ouds, made from mother-of-pearl and wood in different colours. Glued together and cut, they form tiny stars and squares, or intricate zigzag patterns. Mansour prefers a different finish: he keeps his instruments plain, with only rare decorative details. ‘I like the oud to be very simple. It’s an instrument, not a decoration,’ he says. On one of the walls in Ghadban’s workshop, next to a large assembly of rasps and tools, hang finely carved wooden calligraphies. They each spell the name of an oud – Ghadban gives all his instruments a unique name. ‘There is one called ‘The echo of the spirit’ and another named ‘Leila wa Allah’, from a classical Moroccan song, chosen by a buyer who is a literature professor from Bulgaria,’ says Ghadban. The oud has a long history, dating back at least 5000 years. Its exact origins are still not clear, but can be traced to somewhere in the Fertile Crescent. What is certain is that the instrument made its way from there to Mecca, and via Andalusia to Europe, where it eventually developed into the classical lute. ‘The word ‘al-oud’ became ‘lute’, which later inspired the evolvement of the guitar. 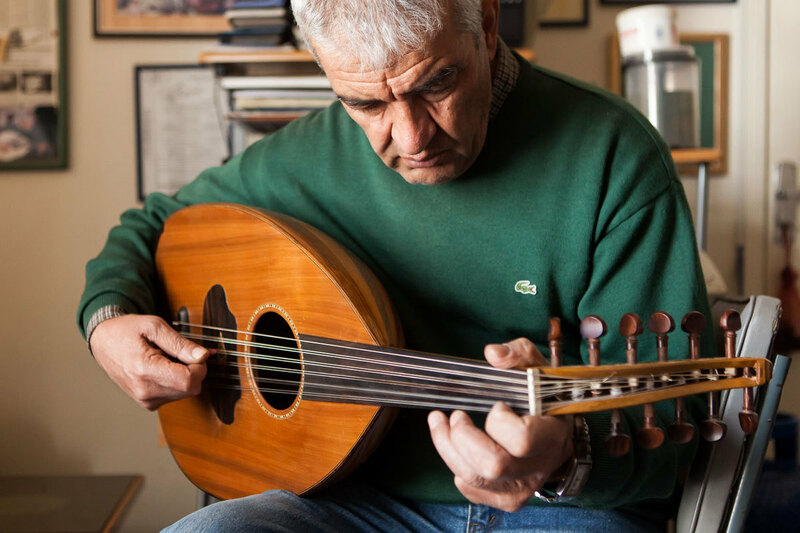 All Arabs know that the oud is the father of the guitar,’ says Ghadban with a smile. In history, the oud has had multiple roles. It was praised by Baghdad’s 9th century jurist Miwardi for its use in treating illnesses; it was played on the battlefield, and used to accompany a responsorial song known as sawt (Arabic for ‘voice’) in the Arabian Peninsula. Today, the oud remains a popular instrument in Middle Eastern music. It is ideally suited for the Arabic maqam, or melodic structure, since it plays notes in any intonation. Mansour takes down one of the ouds hanging on his workshop wall. It is ready to be delivered to a customer, after getting a final polish and a brand new set of strings. 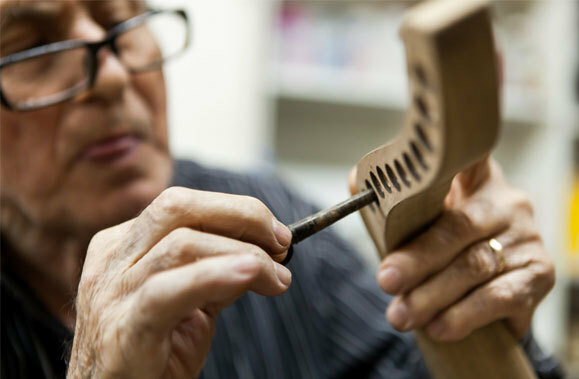 Finishing the last details takes time, but he wants to make sure that each instrument leaves his workshop in perfect condition. ‘The best thing with making ouds comes at the end, when you put the strings in place and get to hear how the instrument sounds,’ he says. Alongside the Arab world, ouds are still made by hand in Turkey, Armenia and Greece with slight regional variations. Turkish ouds are often smaller in size, those from Egypt are larger with a deeper sound, and ouds from Syria and Lebanon often fall somewhere in between. The most prolific oud makers in history were arguably the Nahat brothers, originally from Damascus, who made ouds from the mid-1800s until some time in the 1940s. In Lebanon, a handful of oud makers now maintain the craft. 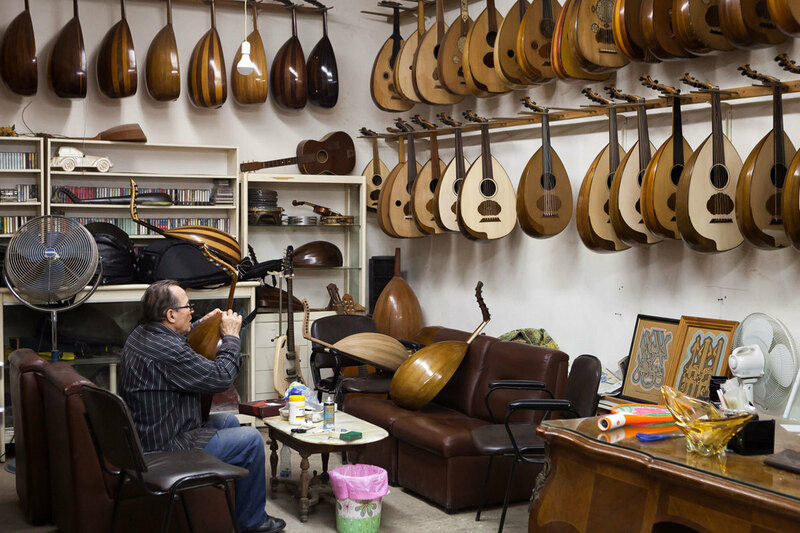 Ras Baalbek used to have several luthiers, but Ghadban is currently the only one remaining. One colleague has moved his workshop to Jounieh near Beirut, while others have passed away without someone to take over their craft. ‘Still, I am not worried about the future. The oud is well and alive, and I have many customers. Personally I will also retire from my work as a teacher soon, which means that I will have more time to only make ouds,’ says Ghadban.